This is our list of current Horses for sale. 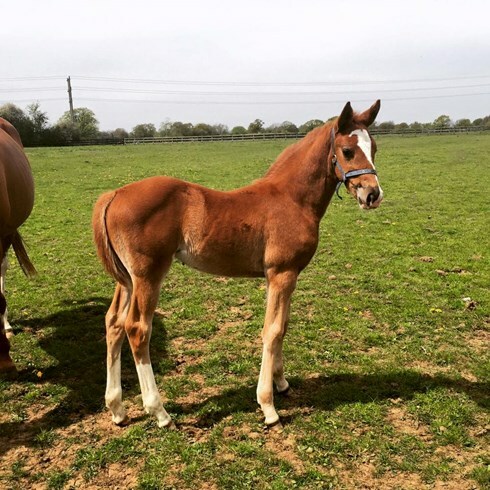 At different times we will have a selection of Show Jumpers, Eventers, Hunters, Dressage horses and Polo ponies, together with our foals to 3yr olds just starting out. By the powerhouse stallion DAKAR VDL who is by the great Cardento and legendary grandsire Nimmerdor. Flower is a true product of Dakar long legged, long lined with a ground covering and engaged canter, scope, good technique and a very very good mentality. On Flowers dam side she also has worldclass showjumpers throughout the generations. the closest being Indoctro and contender! 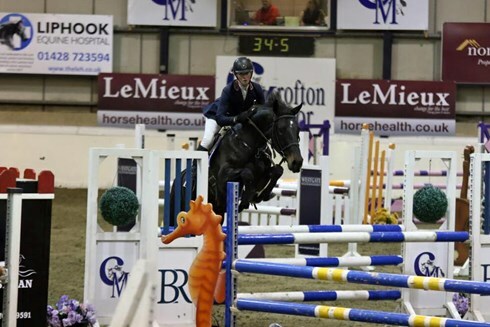 She has the bloodlines, mentality and ability to make a top class showjumper. by Spartacus x Oscar (Spartacus x Grannus, Wolfgang) Impeccably bred her dam's full brother 'Uphill' is a Grand prix KWPN dressage stallion and probably the most famous son of Oscar who died early on in his career. Oscar's sire Wolfgang is one of the most notable sons of the legendary 'Farn' Wolfgang gained 9's at his performanc test for jumping and behaviour. Oscar is said to pass on his great cnformation, expression, strong movements, toughness and size. 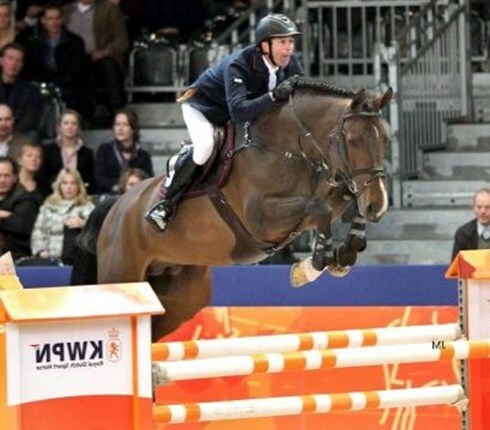 Her sire Spartacus is competing successfully at the highest level of showjumping with Marco Kutscher and his sire Stakkato is the best stallion the Hanoverian Verband has had in years and produced an endless list of top jumpers. His Grandsire Grannus is one of the best sires of all time and appears in the pedigree of many world class horses. 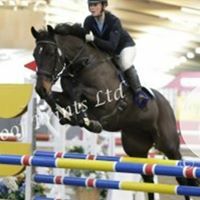 With top class dressage and showjumping horses in her pedigree she is sure to have a very promising future as a sport horse in any discipline, she has the movement for dressage enough blood to Event and early signs of the jump for showjumping. 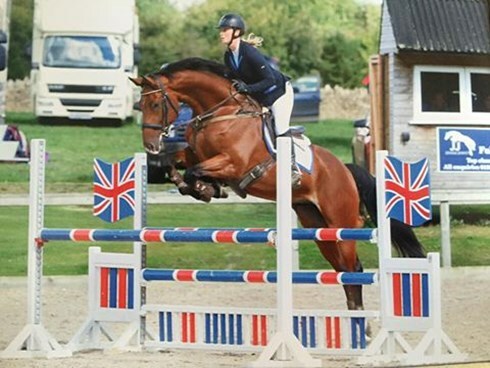 By the very promising stallion Elvaro Excellently bred and showing lots of potential for the highest level of the sport. By Calvaro z and out of a dam by Heartbreaker x Manhattan, Elvaro catches attention with ernormous scope and extreme carefulness. His sire Calvaro z jumped at the highest level and is a true top sire with many famous offspring. Elvaros dam is the daughter of the legendary Heartbreaker who is an incredible breeder of showjumpers producing top stallions like Toulon, Harley, Zidane, Bertram Allens Romanov and Sire of Scott Brash's Hello Sanctos Quasimodo van de Molendreef. International top horses such as Tag Huer, Londontimes and Ultimo are also closely related to Elvaro. Bunny's Dam Witty was a very promising showjumper until a field accident ended her career premiturely. She is by the fabulous Guidam 1996 kwpn stallion of the year and son of the legendary Quidam de Revel. Guidam has stayed in the top 50 wbfsh jumping sires for years and has produced countless top showumping and event horses such as Olmpic silver and bronze medalists Authentic and Ninja la silla. Bunny's bloodlines carry so many of the worlds best showjumpers she is a top prospect for sport or breeding. By Toulon, who is one of the best sons of heartbreaker and has produced countless world class showjumping and event horses. The Damline of Toulon is one of the best jumping lines in the world. The great Okidoki ridden by Albert Zoer was also from this line. The offspring of Toulon are characterized by the exceptional qualities under saddle and have great movement. Suzy poses all these qualities in a compact bundle. She is a rubber ball, easily manouverable very gymnastic with an exceptional technique. She is also very bold and has xc schooled proving a real talent for eventing as well as posessing qualities that will make her a great show jumping prospect. A very promising horse for a professional or an amateur. Suzy is currently jumping newcomers and will be competing in FEI CSIYH classes.